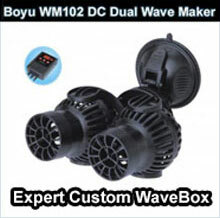 Connect the AC power (230V~50/60Hz). Put the PH electrode into the buffer solution with the standard PH7. Adjust the knob "CAL/PH7" with the plastic screwdriver until the display reads "7.00". 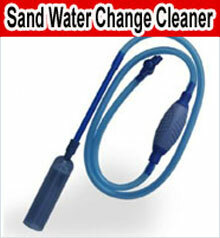 Put the PH electrode int the water after calibration and start to work. 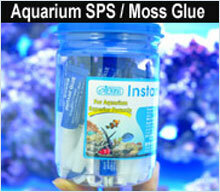 Normally, the best PH for plant aquarium is PH6.8~PH7.2 and for the seawater aquarium is PH8.0~8.4. Connect the CO2 system(Not included) to the controller and it will lower the PH with the CO2 system. Awesome bit of kit for the money. I use 1 on my calcium reactor. I am shortly ordering a ph monitor to run on the DT as I am so pleased with this one. Very good item. Fast shipping. Totally satisfied. Por el precio que tiene, funciona muy bien. El electrodo, aunque muy básico va perfecto. Lo calibré cuando lo instalé y lo compruebo periódicamente, pero no he tenido que volver a ajustarlo. Solo tiene un punto de ajuste, pero como normalmente trabajo en torno a pH 7, no son necesarios más puntos. Una compra recomendada. This is a great product for the price, the only down side was there were no English instructions included but simple setup instructions are included within the product description. I found this product to be very accurate and would recommend it. It also arrived within a few days and I live in the UK. The item arrived in 9 days. Cakibration is only on 1 point but is spot on . Great item.